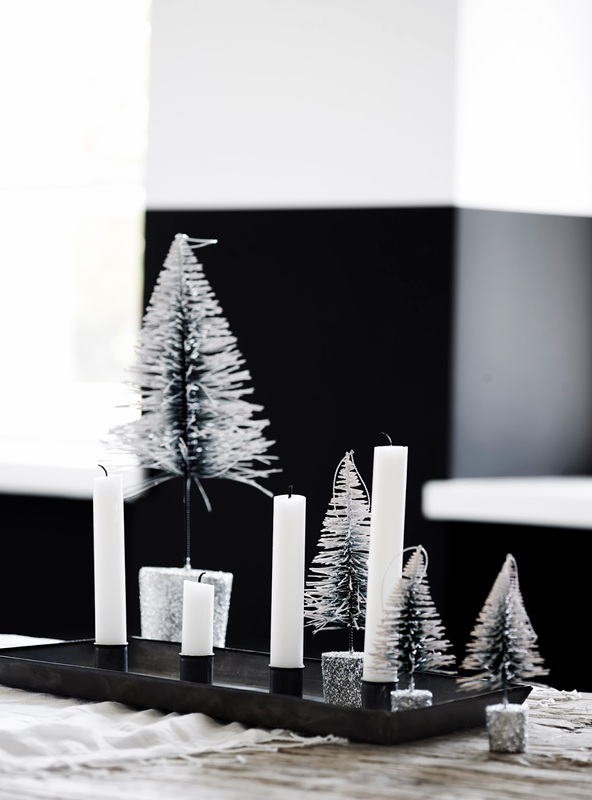 my scandinavian home: A black and white Christmas with Tine K.
A black and white Christmas with Tine K.
It's the weekend, yay! 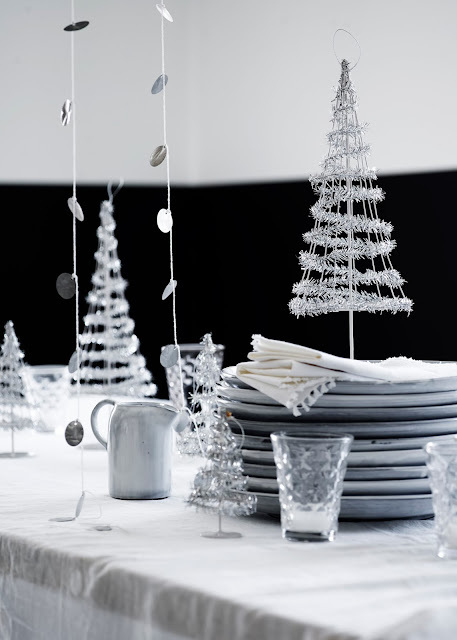 There's going to be a flurry of last minute decorating and wrapping here in my home in preparation of celebrating our 'Swedish Christmas' with my husband's family next weekend. If like me, you're looking for new ideas - here's a touch of inspiration. When it comes to Christmas, Danish brand Tine K Home always come up trumps. 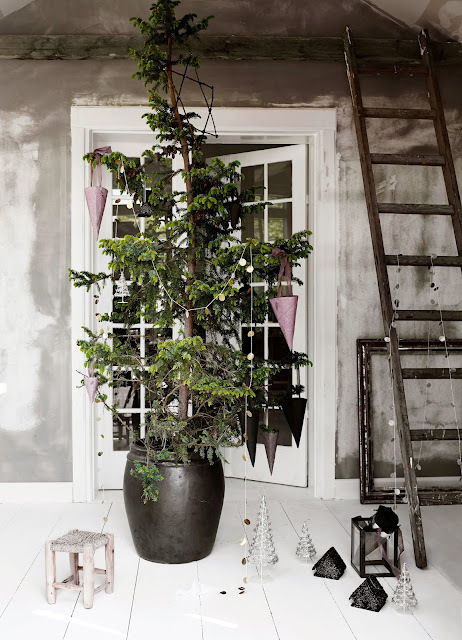 The Tine K Home theme for the holiday season 2013 is black and white, save for the tree which is also decorated with a touch of earthy mauve (or, what would you call this colour?). 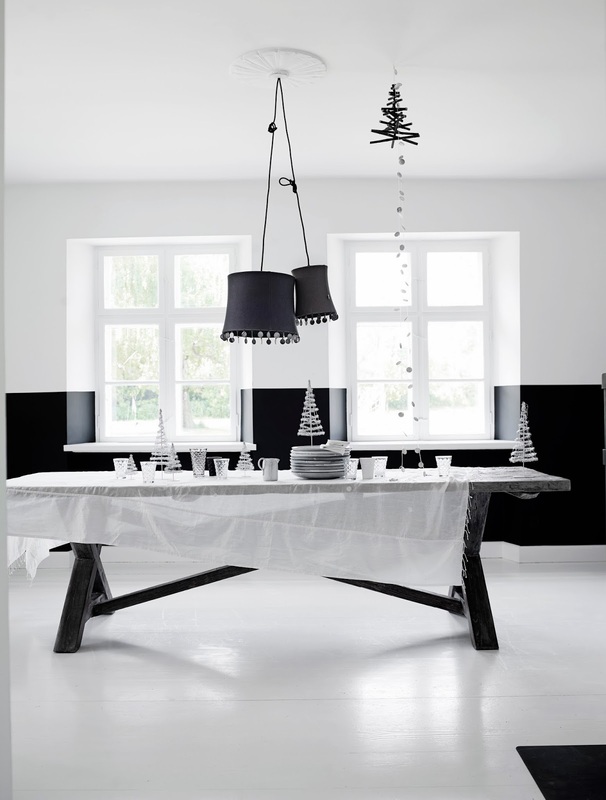 Do you like a black and white theme at Christmas? 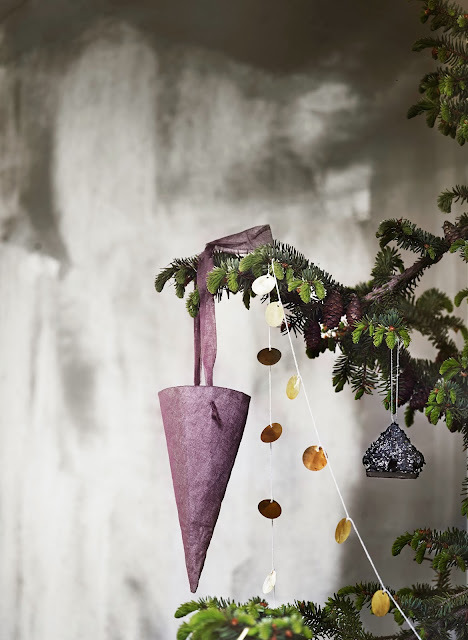 I've gone for a white and brown theme and hung ginger snaps in our tree. The scent as you walk in the door is wonderful, I can definitely recommend it. How do you create the smell of Christmas in your home? 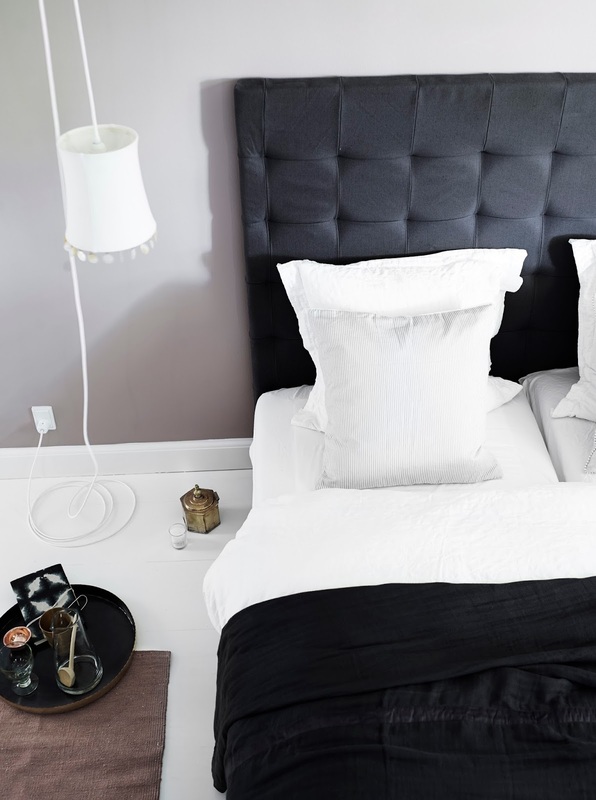 If you love this style you'll also love the home tour of Tine K Home's owner. For more black and white Christmas inspiration check out this Swedish home, this Norwegian home and here for beautiful Danish Christmas decoration inspiration. This afternoon I'm heading up to the nursery to watch my girls in their Luciatåg (Lucia procession). My eldest will be a 'tomten' and my youngest 'Lucia' with a crown of candles in her hair (not real thankfully), I can't wait, it'll be so sweet! What are you up to this evening / over the next couple of days? it's beautiful and classic! 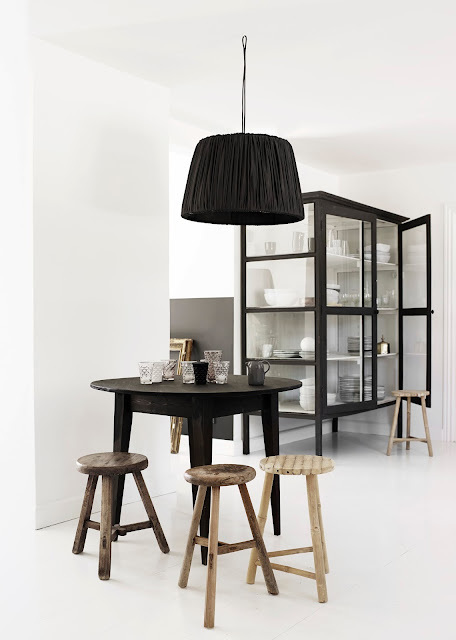 Would love to have something similar in my home! Lucia celebration sounds wonderful, I know the are doing the same at the Seaman's church here in Dubai but we will not be attending. I do miss the Luciatag and the saffron buns from home! Have a great weekend! You'll have to pop back for it one year. I'll raise a glass of glögg on your behalf! Great weekend yourself. Er virkelig glad for at du opdatere din blog hver dag, helt fantastisk! Thank you, good to hear it's appreciated! I think the black & white is very classy looking. Last year I did all white, silver and wood. The Lucia procession sounds like such fun. 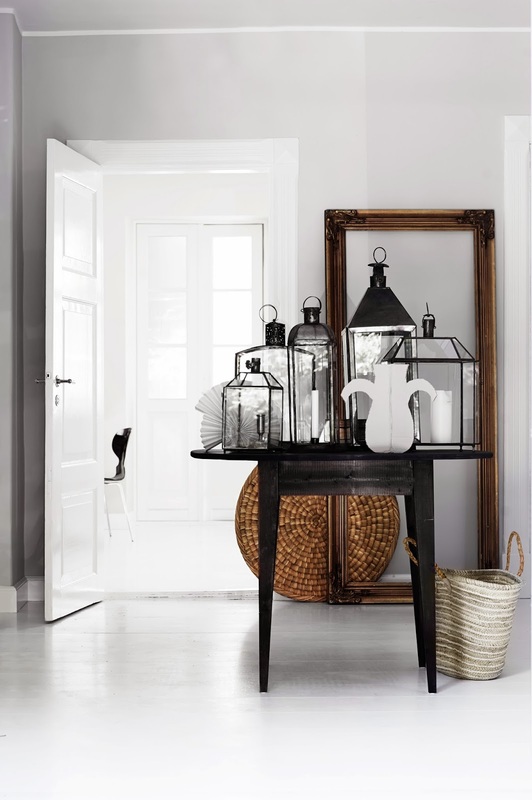 I really love the look of this house and I really LOVE black and white. 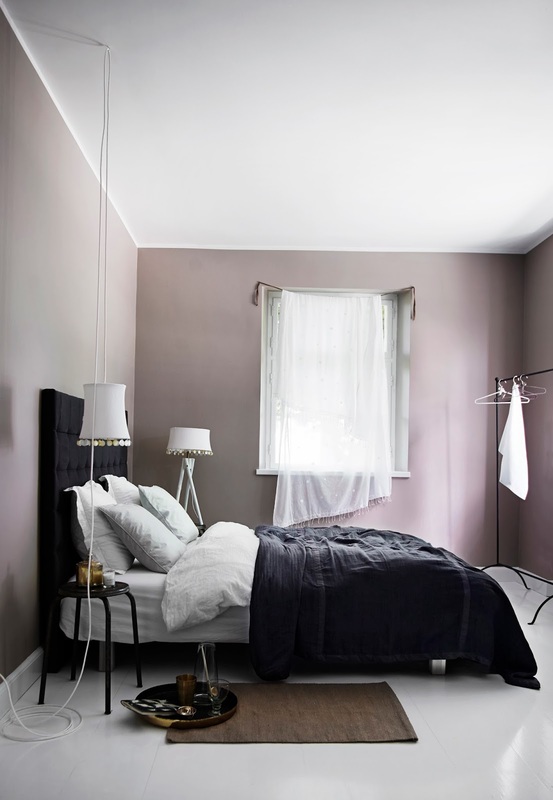 I do like the touch of purply-mauve as well. I like to scent the air with pine-scented candles and air fresheners...not as good as the real thing, but it works! Wonderful as always! I create Christmas smell with baking gingerbreads - it's the smell that brings a real Christmas feeling for me.